So glad you’re doing well! And I love the cholla! Glad to see you’re feeling better and back in the saddle. 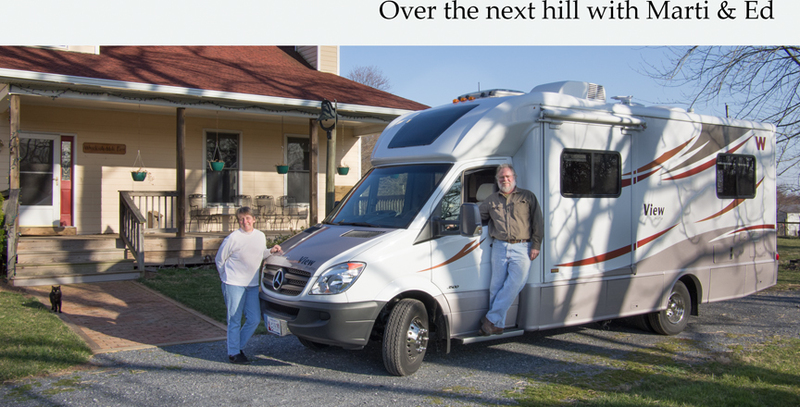 How many miles do you have on your RV now? We rolled over 100,000 just a while back! As usual, love your posts. Just curious… How many miles are on your RV by now, my sweet traveling friends? I miss your beautiful faces… when might you be back in the VA/MD area? What was temp while in Arizona…Camp ground greeting wasn’t what you would expect….Post to campers not to go there. Hi! It was nice meeting you at the Sunglow Campground in Capital Reef. We enjoyed the conversations we had about the similarities and differences between the United States and The Netherlands over both a Heineken and an Uinta beer. We made it back to The Netherlands and cherish both our physical and mental pictures we have from your country. We wish you all the best for the future and if you ever visit The Netherlands, you are more than welcome in the nice city of Utrecht. You know, it is somewhere in the middle.